Energyprice is here to help you cut your gas and electricity bills. That’s our promise – and it defines our culture. We’re here for you, and with you. Because we’re consumers too. We understand how hard it can be to get the best deal for your energy supply. We make no secret of the fact that we work hard to get the deal that’s right for you, and bring you a tool you can rely on. 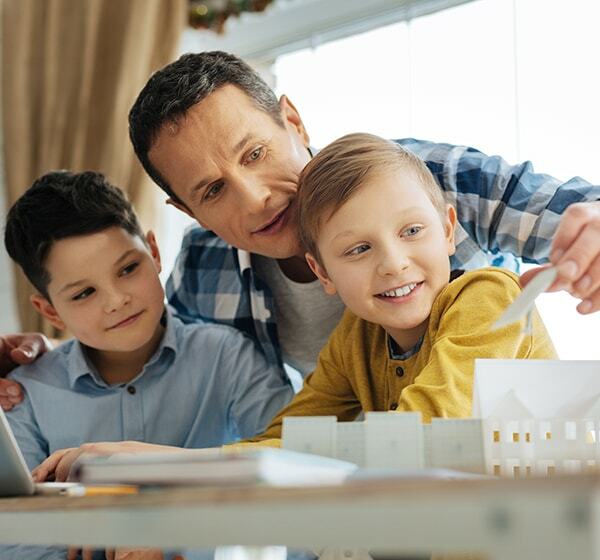 Since we founded Energyprice in 2013, we’re delighted to have helped more than 100,000 Belgian households save money to spend on other things. And we’re determined to keep doing the same. Our customers and staff deserve the very best. That’s why we do whatever we can to keep them happy. 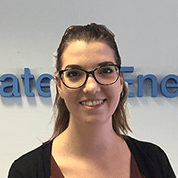 Here at Energyprice, we’re lucky to have a close-knit team of passionate people who are ready to tackle whatever the ever-changing energy market throws at them. Choosing a gas and electricity supplier is something everyone has to do – us included. It’s a process that involves a lot of paperwork. Except we’re here to take that burden off your shoulders. It’s something we do willingly because helping you is the very reason for our existence. Here at Energyprice, we believe in being honest and open with people. It’s a mark of professionalism. We’re objective and unbiased in everything we do. We’re fiercely independent, but we understand that it makes sound business sense to collaborate. To bring you the five-star service you deserve, we’ve teamed up with most of the gas and electricity suppliers on the Belgian market. That’s why you get exclusive discounts and personal support – and the peace of mind that comes with our reliable service. Willing to join our team ? Interested by the energy sector ? Willing to join our young and dynamic team in a pleasant workspace environment ? 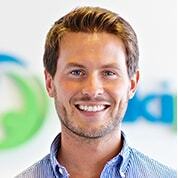 Maxime Beguin is our Chief Executive Officer. He represents the company, devises its growth strategy and coordinates work across departments. Why did you create Energyprice ? There were two reasons. 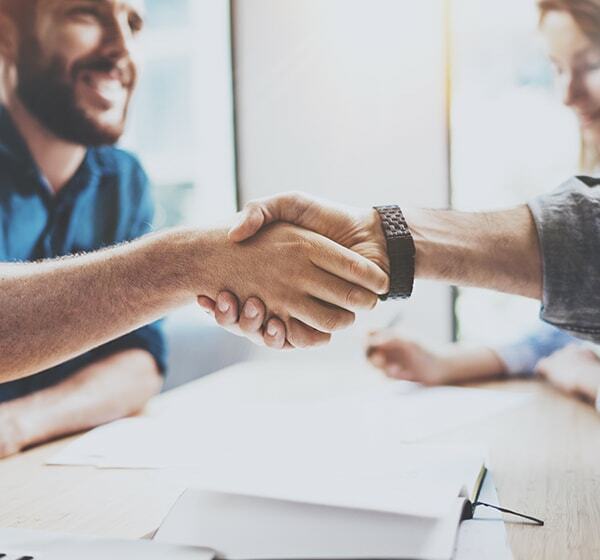 First, I met with the founders of a comparison website in the Netherlands and we realised that it would be a good idea launch a similar tool in Belgium, to complement our existing group purchasing offering. Second, in the early days of Wikipower, we used to use Excel spreadsheets to calculate how much we had saved through group purchasing. We wanted to automate the process with our own IT solution, and that’s how the comparison tool was born. All that remained was to buy the domain name and develop a user interface so consumers could compare supplier offers whenever they wanted. These are now two separate services. What do you like best about your job ? I love a challenge. I enjoy tackling new problems where we don’t always have a ready-made solution. It forces us to be creative and to innovate. I also enjoy spending time with the team and coming up with alternative solutions together. I’m also fascinated by the way people work. No two days are ever the same. It’s a rewarding experience. I’ve learned a lot in this job. I’m proud that we’ve launched a viable, automated service that helps consumers save money. Our powerful tool and highly skilled team help thousands of households every year. What challenges lie ahead for you ? We want to strengthen our presence in Flanders and branch out into other sectors and geographies. So we’ll need to embrace new countries, languages and cultures. It’ll be a big change. We have to see whether what works well in Belgium can be duplicated elsewhere. I believe we can rise to the challenge because we’ve already tackled the most complex market. What is your defining quality ? My big-picture vision. I have to make sure all aspects of our business run smoothly. I also regard myself as someone creative and opportunistic – in a good way. Where some people see an insurmountable obstacle, I see an opportunity to bounce back. I’m an optimistic person. You have to be to do this job successfully. We have to keep pushing forward. That’s why I set such high standards. I have to balance the interests of the company and the interests of the team. Salvio Marullo is our Manager. His vital role involves supervising the platform and managing our team of advisers. 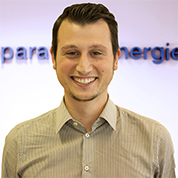 Before he joined Energyprice, Salvio spent nine years at a financial services company Euroclear, where he held various positions before becoming Business Analyst in the Production Management division in 2014. 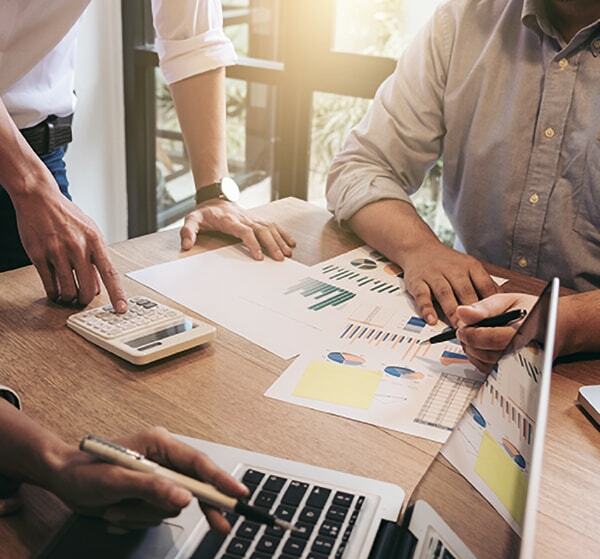 His previous role covered three duties: analysing the company’s requirements, identifying gaps and suggesting IT and/or organisational solutions. 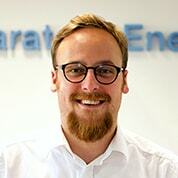 Why did you join Energyprice ? I found finance too faceless. I wanted to work in a sector with a more personal touch. So when I spotted an opportunity with a start-up doing something useful for consumers, I jumped at the chance. I enjoy the way our efforts pay off with instant results. I love nothing more than improving our tool to give users the best possible experience. How do you persuade your friends to use the price comparison tool ? When we’re shopping, we always look at how much things cost. I tell them they should adopt the same approach to their energy contract – especially when it only takes five minutes ! My goal is to take Energyprice international, so we can help even more people save on their energy bills. I speak four languages – and I have an encyclopaedic knowledge of sports results ! Jérôme is very much a people person. He holds a degree in communication and has spent his entire career in customer-facing roles. He earned his spurs in Carglass’ customer service department before a five-year stint at a major call centre. 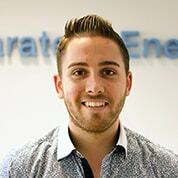 It was an enriching experience, and one of his tasks was serving the customers of a big-name energy supplier. I was looking for a new challenge. I thought it would be a good idea to join a start-up. What happened next provided I was right. 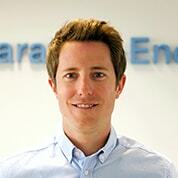 At Energyprice I had a chance to make my own mark on the business and bring my knowledge to the table. The independence! I get to manage my own time and organise my tasks as I see fit. But more than that, I’m proud of the personalised service we offer our customers. Each customer deals with the same adviser, which makes the whole process smoother. I don’t even need to mention it to them. They come to me instead! They know what I do and they talk about it to their own friends and family. Word of mouth is a wonderful thing. Seeing the business grow and how the services we offer have developed. Our comparison tool is the go-to solution for many people now. This success shows that consumers trust us. I’m happy because our customers are happy ! My curiosity and thirst for learning. 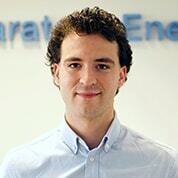 Xavier joined Energyprice in 2015, first as a student and then as a staff member. A translator by trade, he understands the importance of getting the message across and dealing with the nuances of language. His keen eye for detail and broad subject knowledge have seen him rise quickly through the ranks. At first, I joined so I could practise my English and Dutch. I studied both languages and I wanted to keep using them at a high level, so a position as an energy adviser for the Dutch-speaking arm of the business was a great opportunity to do that. I also had a keen interest in the energy sector. It’s something that affects us all, and it’s going to be high on the agenda for decades to come. It’s a fast-paced environment. I love the camaraderie in the team. Being happy at work is really important to me – much more so that hitting my targets. I ask them how much their pay for their energy. Then I do some quick calculations to show them how they could pay less for the same amount of energy. Work-wise, I’m proud to have appeared on the La Une and RTL-TVI TV news slots. My proudest personal achievement is being a father! I’m always willing to lend a hand. If someone needs me, I don’t give it a second thought. I’m always happy to make time for people. 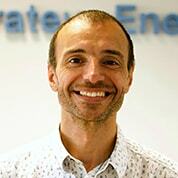 Stéphane Siemianow is an Energy Advisor. It’s his job to give consumers the best offer to suit their needs. Stéphane has spent his entire career working directly with customers, including prior experience as a salesperson for major brands. 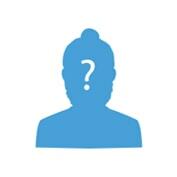 His background means he is adept at meeting people’s expectations, no matter what their age or energy experience. I wanted to learn about a new sector. In my previous role, my task was to get people to spend money. This time, it’s about saving them money. It’s a really interesting switch ! I enjoy the camaraderie in the office, and I love getting good feedback from our customers. But that’s not really surprising. Who wouldn’t be happy about saving money ? Our price comparison tool is free to use and it’s the easiest way to reduce your spending. All it takes is one phone call. Amazing! Definitely the time I saved one customer €650 on their annual energy bill. I’ve always got a smile on my face and I know just how to put people at ease.